The best of ... 2010! 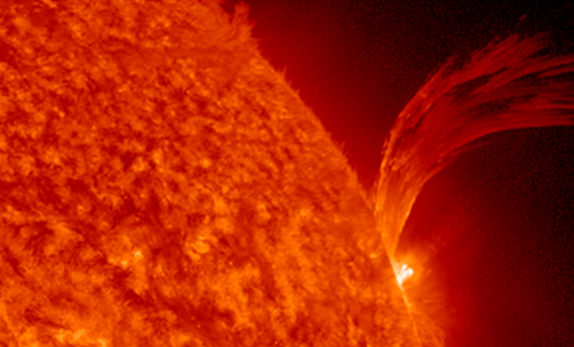 A compilation of the most memorable space weather moments of 2010 can be found underneath. Using the fantastic (J)Helioviewer software, a ***MOVIE*** was created containing one or more clips of each event. 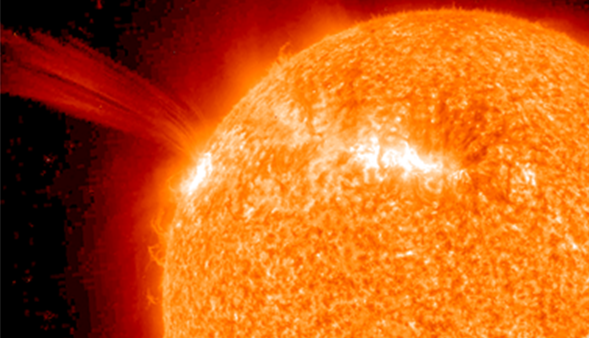 Usually, images obtained by SOHO, SDO, and the STEREO spacecraft were used. 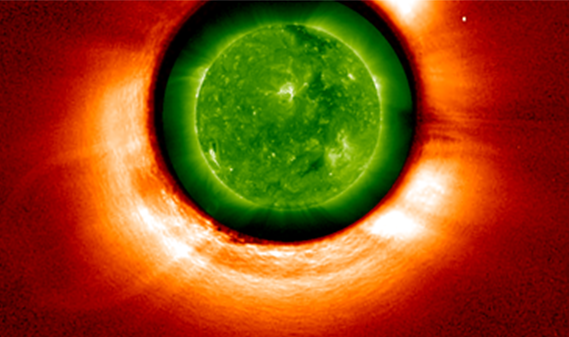 Since 1 August, the SOHO/EIT images are no longer available as they have been replaced by the AIA and HMI imagery from the Solar Dynamics Observatory (SDO) which are much more detailed and taken at a much higher cadence. This is a chronological list of punctual events on the Sun, and thus does not contain items such as the spectacular launch of SDO (11 February) and its first-light press conference (21 April), the end of the TRACE mission (21 June), or the 15th anniversary of the SOHO mission (2 December). 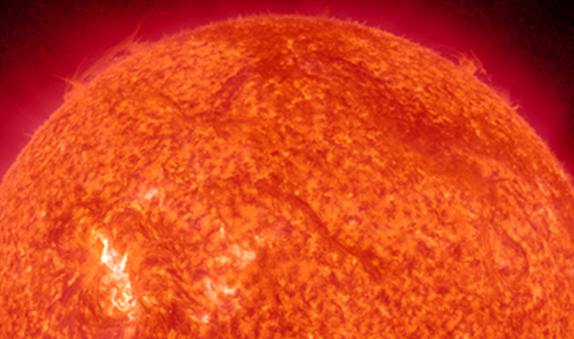 The first M-class flare of the new solar cycle (SC24) takes place. It was the first "medium" event since the M-class flare of 25 March 2008, 665 days ago - an absolute record since measurements started in 1976. 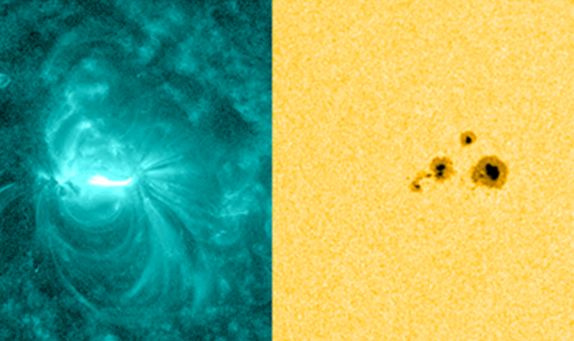 The M2.3 flare peaks at 13:41UT and is produced by sunspot group NOAA 1041 near the Sun's east limb. There was no obvious coronal mass ejection (CME) associated to this flare. In total, the region would produce 6 M-class events in only 2 days. On 17 January, STEREO-B captured already another strong event from this region, then still on the backside of the Sun. That eruption was associated with an EIT-wave and a coronal mass ejection (CME). The strongest flare of the year was an M8.3 flare produced by NOAA 1046 near the central meridian. It was an impulsive event, lasting only 9 minutes. Yet, a clear mass ejection could be observed in the STEREO imagery, with a CME heading for Earth. A small shock was observed during the afternoon of 15 February, resulting in active geomagnetic conditions only. In total, 23 M-class flares were recorded in 2010, but it is noteworthy that two-thirds (15) of them occurred in just 1 month starting mid-January. A major geomagnetic storm started on 5 April and would continue into the next day. Kp reached 7 on 5 April, with Dst reaching -81 nT on 6 April. The disturbance resulted from a partial halo CME that was associated with a rather modest B7.4 Long Duration Event (LDE) in NOAA 1059 on 3 April. The CME had an estimated speed of about 600 km/s when it left the Sun, but upon arrival at Earth, speeds up to nearly 800 km/s were recorded. These were the highest of the year! Interaction with the high speed stream of a diffuse trans-equatorial coronal hole nearby NOAA 1059 could not be excluded. 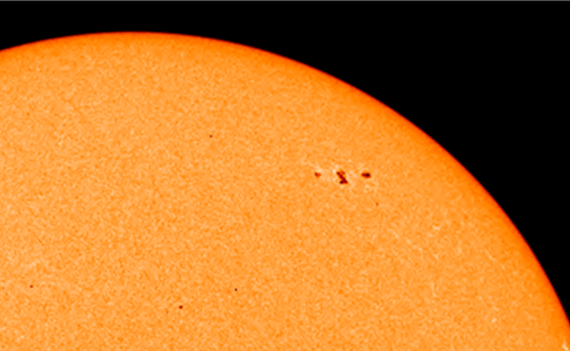 For a few days early in May 2010, a sunspot group was visible at the rather high latitude of +42°. It still is the highest latitude of any sunspot region so far this solar cycle. 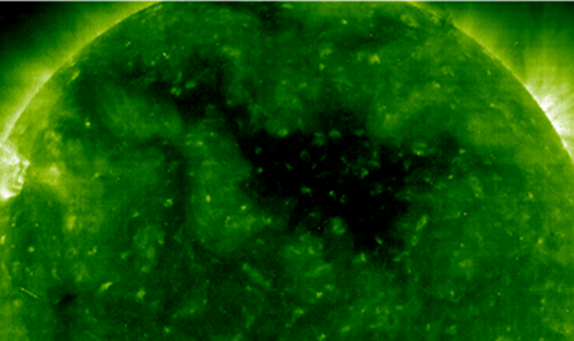 NOAA 1069 was all in all a moderately sized sunspot group, but managed to produce an M-class flare on 5 May! If anything, 2010 will be remembered for the day that the entire northern solar hemisphere exploded. Well, that is to say, a succession of complex eruptions took place on the northern hemisphere involving a long duration C3.2 flare in NOAA 1092, some modest B-class flares, and a couple of impressive filament eruptions, which in turn resulted in earth-directed CMEs. The coincident timing of some of these events, often separated from each other by several 100.000 km, may be indicative of the magnetic connectivity in the solar atmosphere. The CMEs caused moderate geomagnetic storming (Kp = 6) on 3 and 4 August, with Dst as low as -74 nT. 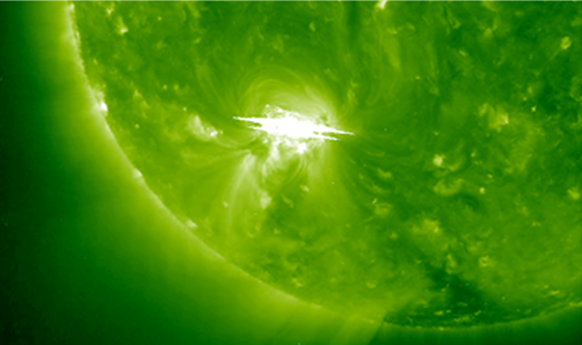 Associated with a C4 flare following interaction between NOAA 1099 and NOAA 1093, the first proton event of the ongoing solar cycle was recorded. It concerned only a minor radiation event (14 pfu). It was the first proton event since the one from 13 December 2006 after an X3 flare from NOAA 0930. NOAA 1093 also showed some interesting behaviour, as its main spot was seen splitting while transiting the solar disk. Extreme Ultraviolet imagery of the Sun's northern hemisphere revealed a coronal hole that persisted from early March till mid-October and was particularly well visible from late May till mid-September. 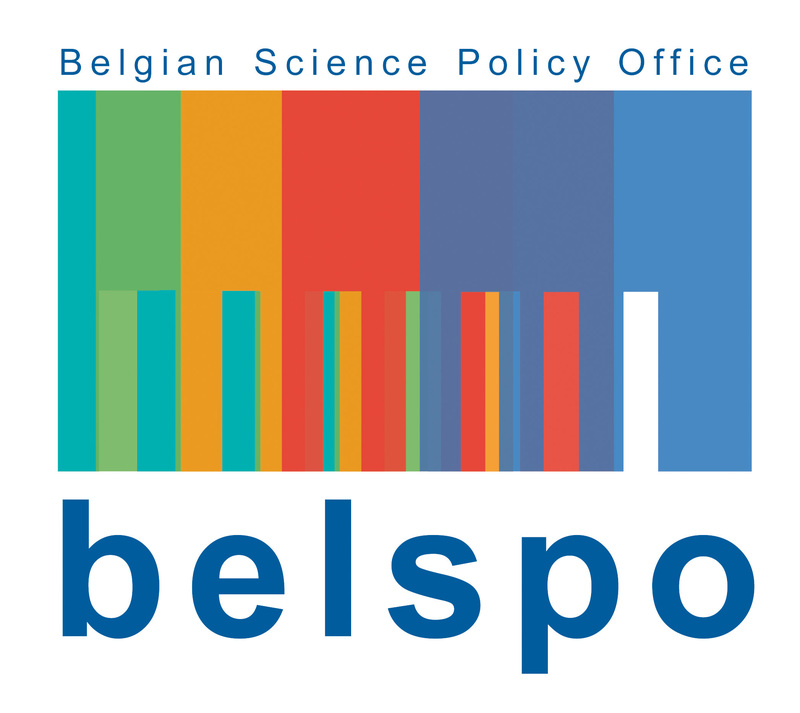 The speeds of the associated high speed stream reached values around 700 km/s during the June, July and August transits. During the latter, the associated co-rotating interaction region drove the solar wind density to a maximum of 73 particles per cm3, the highest of the year. A minor geomagnetic storm was recorded on 25 August. 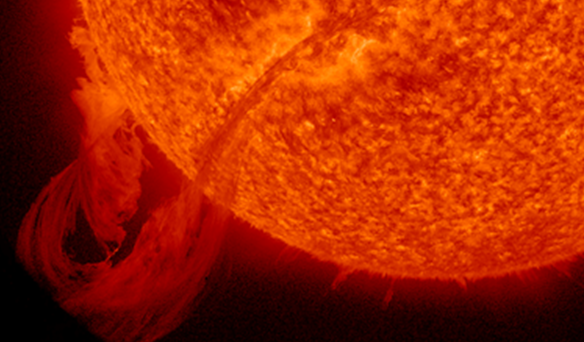 A spectacular prominence eruption took place near the northwest limb as seen from Earth (SOHO). The associated CME had a speed of nearly 700 km/s but was not directed to Earth. The view from Stereo-A's position was quite spectacular as well, as the eruption occurred near its central meridian and the associated CME was a full halo. NOAA 1117 is visible from 19 October till 1 November, reaching a sunspot area equivalent to about 3 times the surface area of the Earth on 29 October. Flux emergence can be seen next to an existing quiet sunspot starting 23 October. Having a relatively simple magnetic configuration, it produces 5 C-class flares but no M-class events. The highest number of sunspot groups of the year (6) was observed on 19 October. During the afternoon hours of 6 December, a filament with the length of about twice the Earth-Moon distance erupted in a spectacular way. 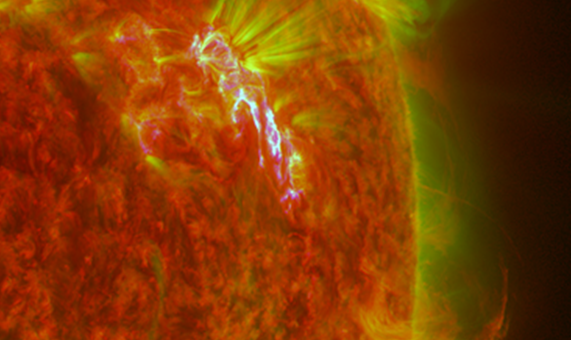 The stunning eruption was captured by both the SDO/AIA and STEREO-B/EUVI instruments. The CME had a plane-of-the-sky speed well above 500 km/s, but was not directed to Earth.